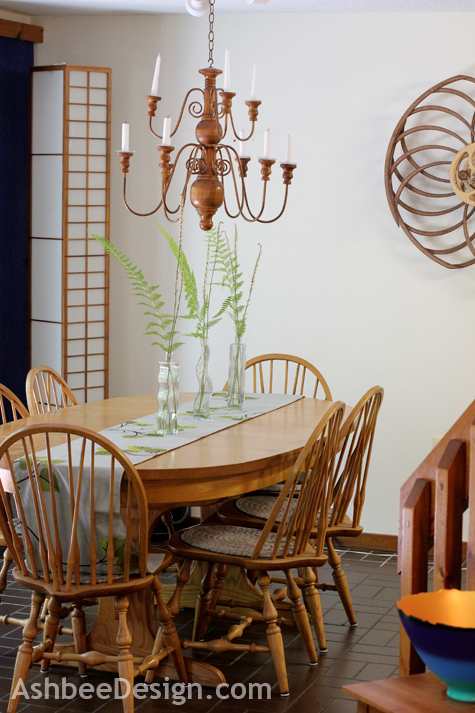 I focus back a generation as I continue on with my series about using family heirlooms in décor. Having already shared crafts from my Mom and Dad, today I introduce you to the skill of my Grandfather, known to us as Pop. Pop was blessed with incredible gardening skills (which I did not inherit!) and exceptional woodworking ability. 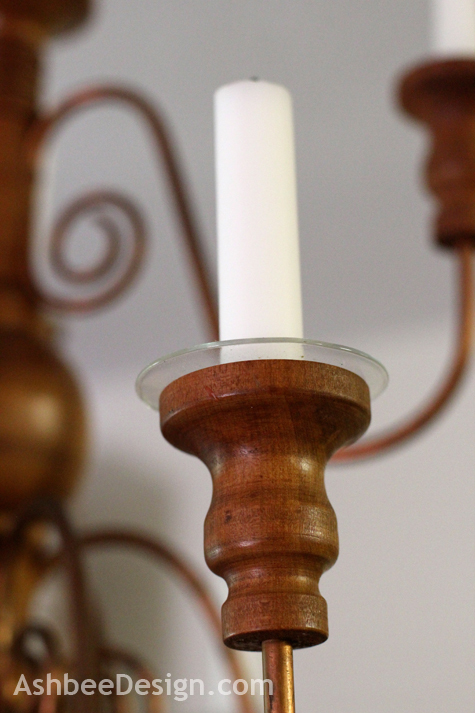 Hanging over our dining table is a turned wooden candlebra gifted to me from my aunt and uncle. My grandfather made this out of the wood from the apple tree I used to climb as a little girl. Special? Absolutely. 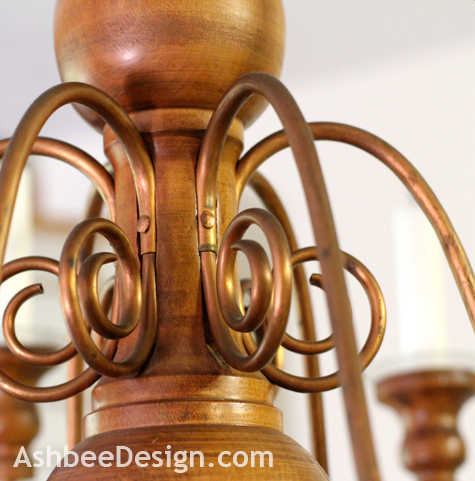 It is a combination of turned apple wood and copper tubing. We light the candles every evening with dinner during the darker seasons. Yes, it is homey and romantic. 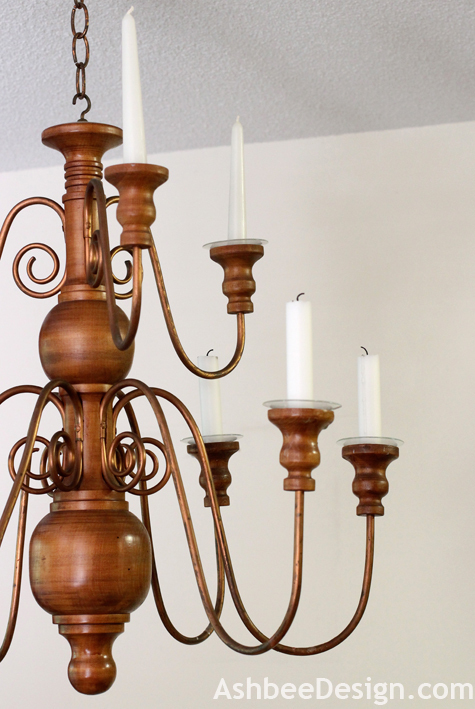 I see on the blogs all the solutions for the dining room lighting and know I have the best solution of all - a beautiful candelabra made by my grampa with a story. Things like this help make a house a home!